Hello! I made this card a few days ago and forgot to post so will do so on this very icy, snowy, cold morning. I made it using White and Kraft CS with Gina K stamps inked with Memento Tuxedo Black and heat embossed with Clear EP. I inked the edges of the kraft and white panels giving the look of another layer. See the other card than I made at the same time below. That's a really stylish card, many thanks for joining us at Allsorts challenge this week. 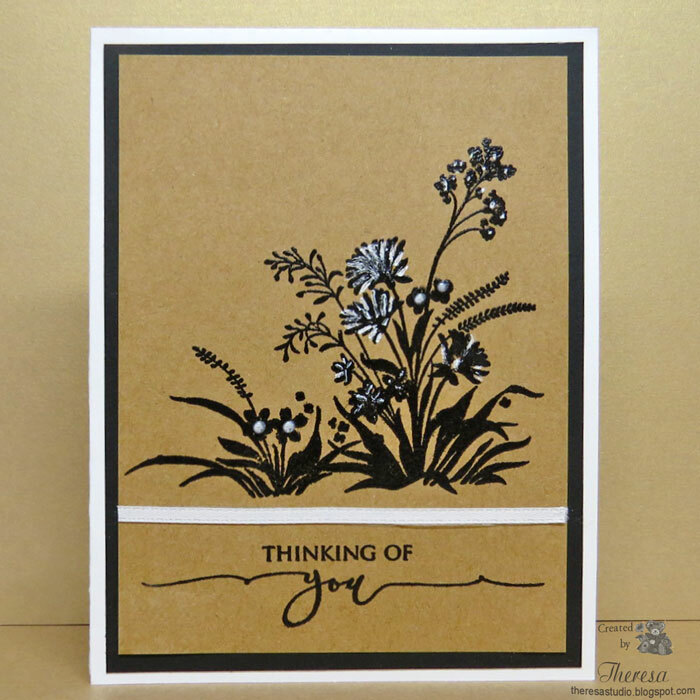 Stunning card with kraft and black stamping. It looks so tranquil this card; great! Thank you for joining us at TIME OUT! This is a beautiful CAS card. love the simplicity of the colors. Thanks joining as Addicted to Stamps and More.